After the Toyota Music Factory in Irving, Texas, soft-opened their doors for six months, the decision was made to equip the facility with a much-needed audio and lighting upgrade. The management of The Pavillion wanted it to be a place of higher level service for the various tours, events, clients and audiences that attended their venue. This is where their partnership with Panavid began. 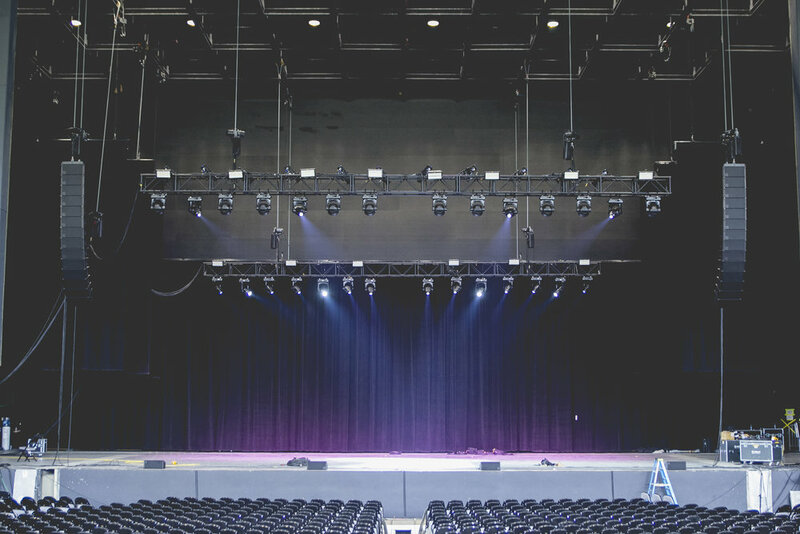 Panavid CEO, Rob Loehr, worked closely with the Toyota Music Factory’s production manager, Tommy DeBeaudry, to design and provide a new, state-of-the-art audio and lighting solution from their large rental inventory. It needed to meet the everyday facility needs, but also provide ample production capacity for larger tours. Logistically, the equipment also needed to be easily removed when a clean grid was needed. The Pavilion is essentially 3 venues in one. The state-of-the art venue converts from a 2,500-person intimate theater to a 4,000-person capacity indoor theater, and opens up to an 8,000-person capacity boutique open-air pavilion. Panavid provided a d&b V-series line array system with 14- d&b V12 boxes on each side of the stage. The 120 degree cabinets were utilized in the design of the line arrays in order to accommodate the unique, transforming layout of the venue. Four d&b Y10P front fills were added to ensure the first couple of rows receive full coverage. Panavid also provided 12- d&b B22 double 18” subwoofers to help fill the room evenly with low end. 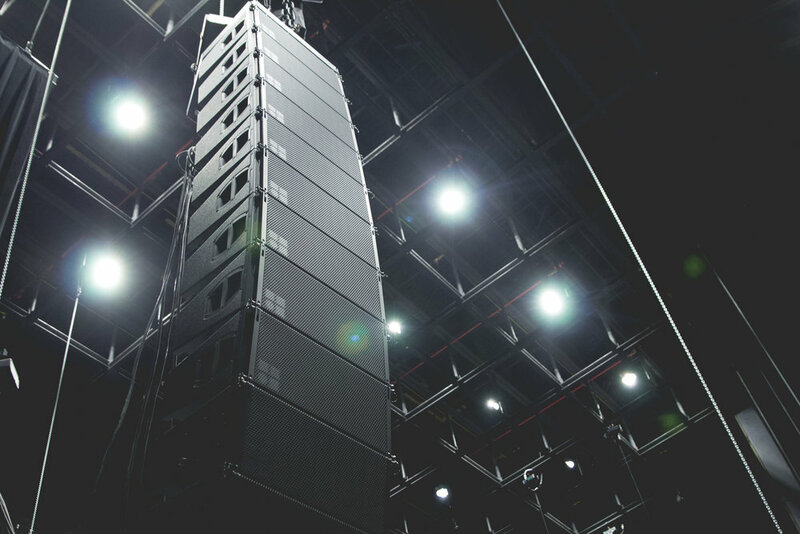 The B22 subwoofers are versatile enough that they can provide a smooth low end for lower-SPL shows, while still delivering punchy, hard-hitting rumble for the heavier musical needs. 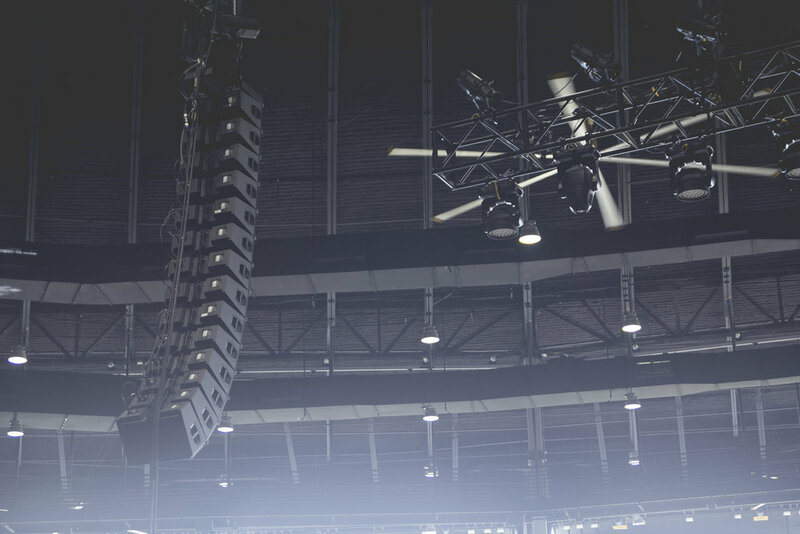 The entire d&b system is powered by d&b D80 amplifiers in order to provide each speaker component plenty of breathing room to reach its maximum output. 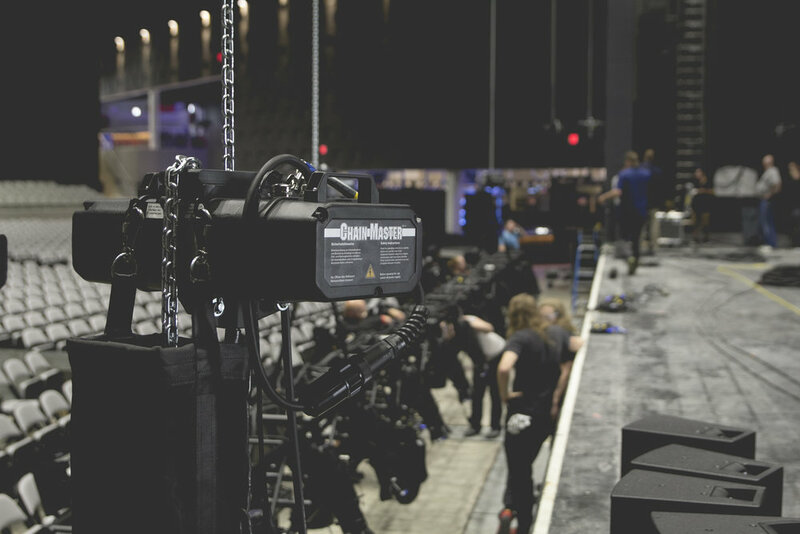 All hoists, trussing, and rigging were supplied by Panavid as well, utilizing the latest technology and safety equipment. Since it was known that the system would need to be removed for larger tours, it was important that the entire rig could be taken down and put back up quickly, and safely. Panavid selected the ChainMaster BGV-D8 double-brake, 1-ton chain hoist for all 14 points to guarantee a smooth, quick, setup and strike. 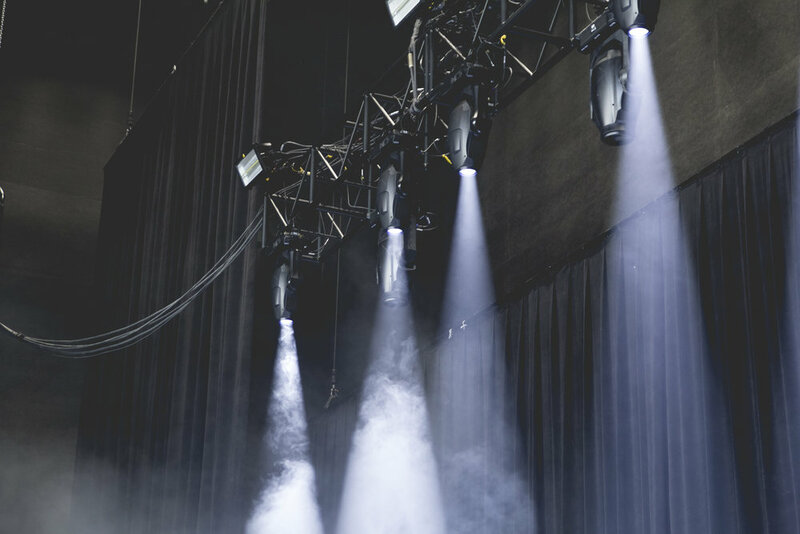 Panavid also provided a rider-friendly, all-LED lighting system that would also aid in the efficiency of setup and take down. The lighting system supplied by Panavid includes: 12- ETC Source Four LED lekos, 10- Martin Quantum Washes, 14- Martin Quantum Profiles, 4- Martin Viper Wash DX fixtures, 14- Atomic 3000 LED strobes, and an Ultratec FX Radiance Touring System hazer, all driven by a High End Road Hog 4 console. Panavid will continue to support Toyota Music Factory beyond the house system with its large inventory of consoles from Avid, DiGiCo, Yamaha, and more; microphones from Shure, Sennheiser, Neumann, DPA, and more; lighting gear from High End, ChromaQ, Martin, ETC, and more; as well as video walls and projection components. The Pavilion at Toyota Music Factory will host a wide variety of live entertainment throughout the year and is booked and promoted exclusively by Live Nation Entertainment. To view upcoming events, visit http://www.thepaviliontmf.com/.